as much as we are enjoying travel around the Philippines, we too are responsible in the effects to which traveling can cause. it has a positive and a negative side. 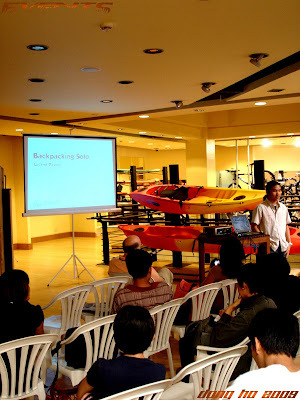 i attended the Backpacking Pilipinas session last Thursday at Recreational Outdoor Exchange (ROX) at the Bonifacio High Street. this was my second time to attend an event there (previously attended session with ROX). three speakers shared their experience of being backpackers. 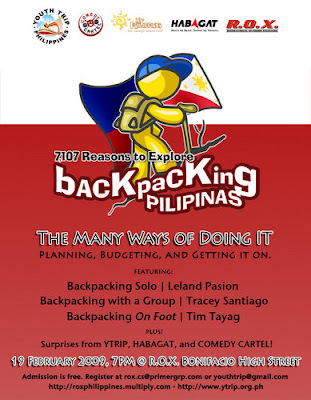 Leland Pasion shared his ideas on the topic backpacking solo. he discussed why one can still enjoy traveling alone and how one can plan a solo trip around the Philippines. 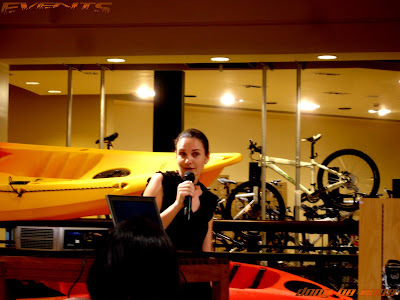 the second speaker was an Australian lady who traveled 40countries in 5 continents. she visited the Philippines as a tourist but ended up deciding to reside in the country to support responsible traveling and other outreach projects.she discussed important points that requires travelers to be responsible in protecting the environment, in taking photos, and in relating with locals. 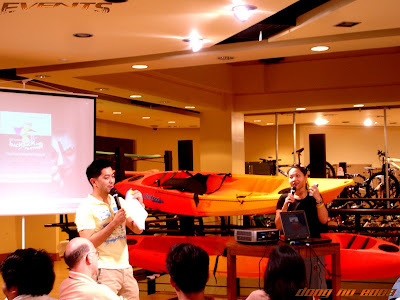 last to speak was Tim Tayag who also shared his experience as a travel show host as a backapacker. carrying with him a large camera for travel shoots around the Philippines. nothing new was presented but every experience shared by the speakers were significant and worth the time. 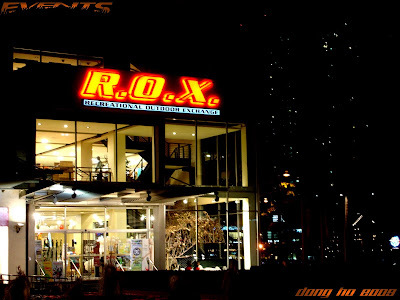 for future events just check events posters at ROX Philippines. Sounds like a good seminar to have. I wish they will visit Davao or Gensan and spread the good news about backpacking soon. did they discuss how much carbon footprints you leave behind? it would be nice to listen to them speak about their experiences. Interesting seminar to know, I think also for non-practising. Parang interesting yan Kuya Dong ah. It's important to leave as small a footprint as possible, I'd say. Sounds like a good seminar. I remember the days of living out of a backpack....Wonderful times of great freedom. what a significant seminar you have attended! i enjoy watching tim tayag's show "on foot" on living asia channel. funny guy indeed. keep it up the dong!!! ayos 'to ah. oo nga, dapat hindi lang basta enjoy sa pagtratravel, dapat maging responsable din, lalo na sa epekto nito sa environment. I am really pleased that there are people now who do care about the environment and are trying to bridge the gap between tourism and environmentalism. wow sayang di ko alam meron pala nito..i should have gone there also! Anyway... we can all try to be more sensitive when we travel to other places. Tim Tayag is good. I saw one feature from him of his Batanes Tour. He handled it very well. It must be interesting to be traveling around with backpackers. Ang sarap naman ng life mo. Puro adventure. Ingat lang sa aksidente bro. Sounds really cool to me. Backpacking all over the world, learning and experiencing all types of cultures and environments. This must be a good informative seminar. I wish I could attend one. Anyway, thanks for sharing this. And for your visit and comments. I like your blog. too bad i missed this. i need to get tips on backpacking solo. wish they have something on "backpacking solo and female" too. though experience is still the best teacher, it would be good to hear from others as well. ayan!!!! i'm counting them narin! this is your fault. hahaha. wow naman, that's a very interesting event to attend to..Do they do that annually? events like this would be so much fun if they incorporate like virtual presentation and stuff like that..
Hi Dong, thanks for the comment on my recent post. Yeah, you should visit Bicol Region sometimes, especially my province Albay... wink.. lol..
Travelling alone can still be enjoying, I would love to learn that! It must have been very interesting listening to everyone's experiences. Anyway, Dong...i have a favor...to ask, can i link ur travelling post or blog to my site? Featured in Places section for my new site? is it okay? I will just copy the link and it will be directed to ur site...is it okay? Take care! It must have been a great seminar. ang cool naman ng australian lady. she learned to loved the philippines after all those places she has been to!